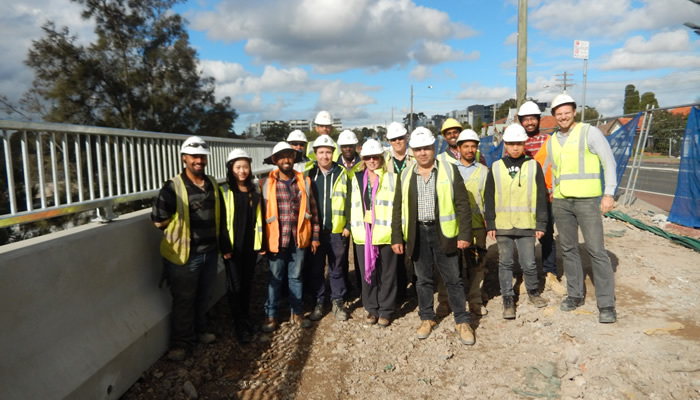 Perfect Engineering Pty Ltd was the contractor under the Roads and Maritime Services (RMS) / DownerMouchel (DM) to work alongside the client’s designer GHD, in a design and construct project to put forward several new and improved designs for the Victoria Road Widening Project. 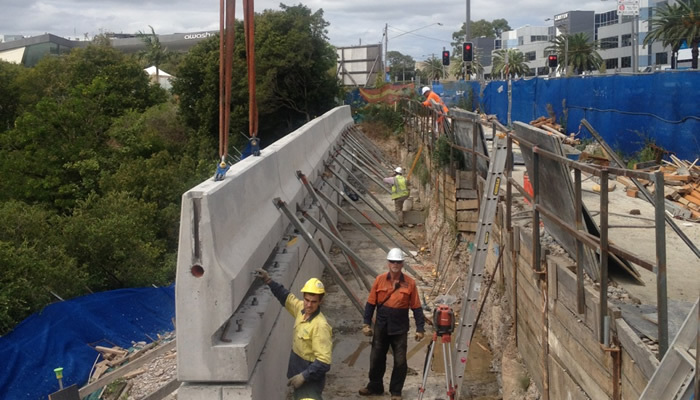 This is basically a bridge works project for the RMS. 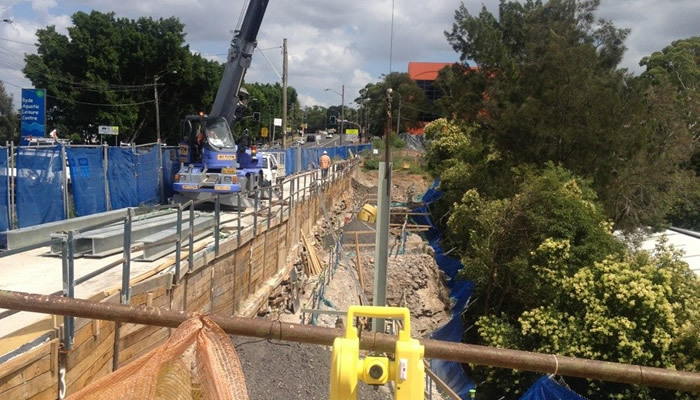 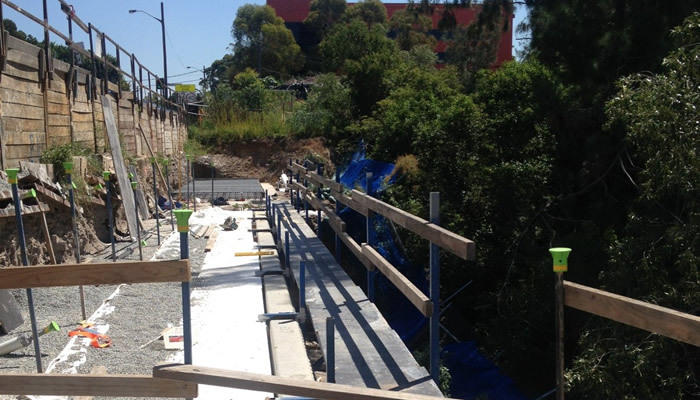 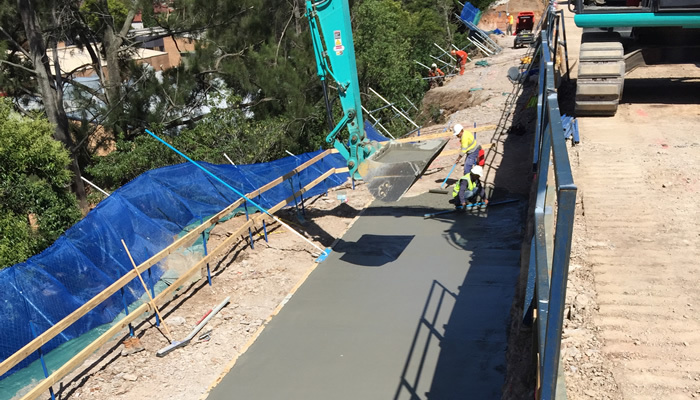 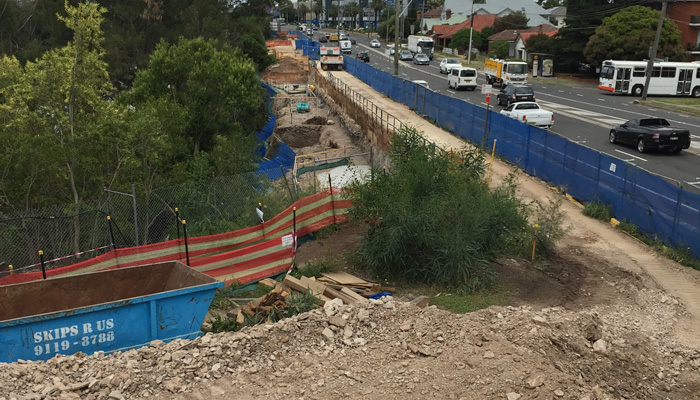 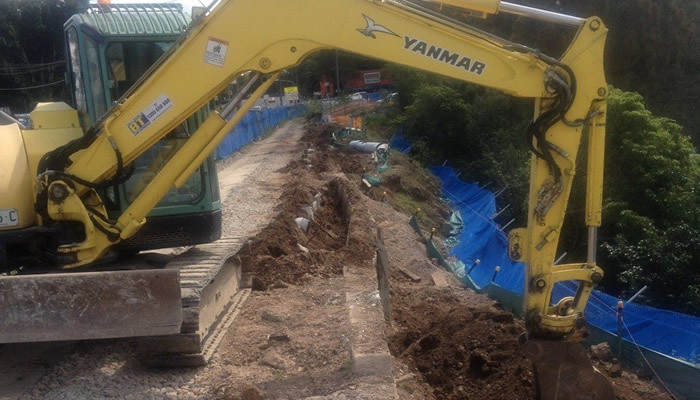 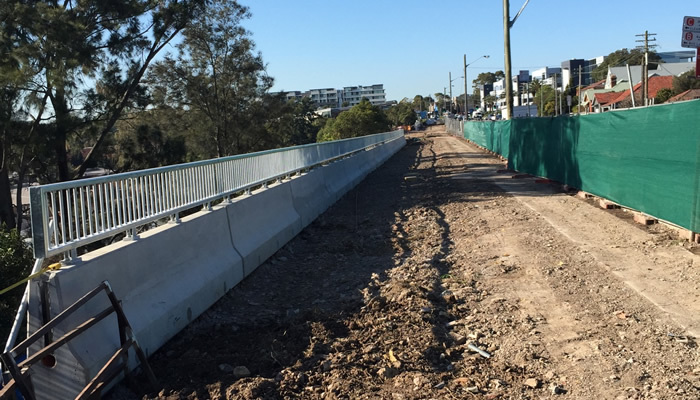 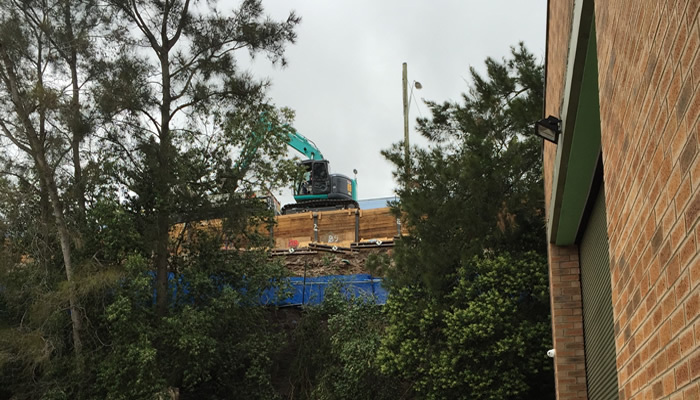 The scope of this project involves the shoring of land on Victoria Road, Gladesville between Frank Street and Tennyson Road for an extra bus lane to be placed after the completion of this project. 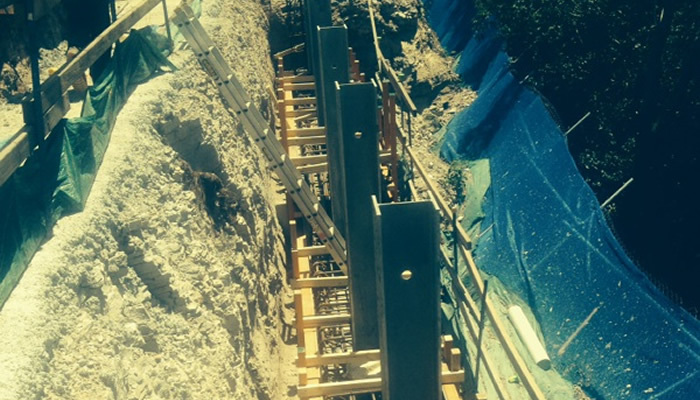 This was an extremely technical project that spanned an entire year from July 2014 to July 2015. 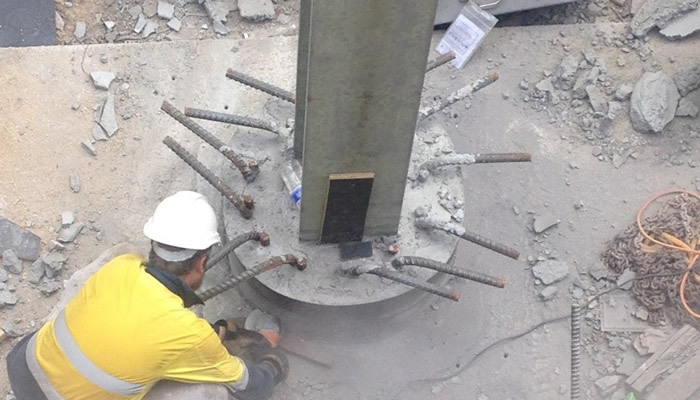 Perfect Engineering organised the project from start to finish. 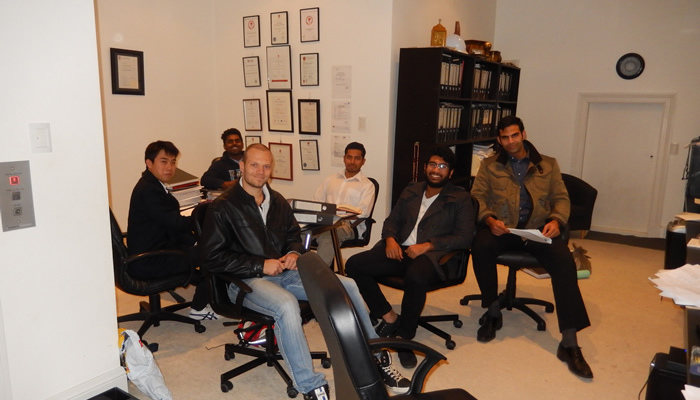 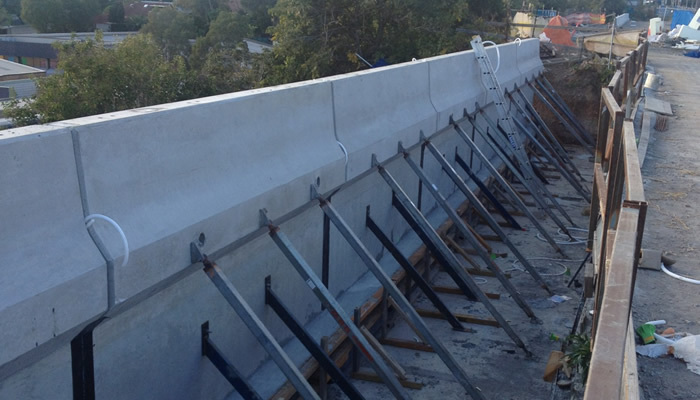 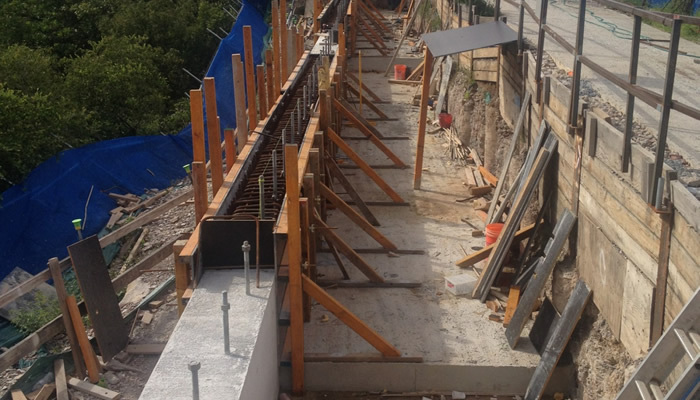 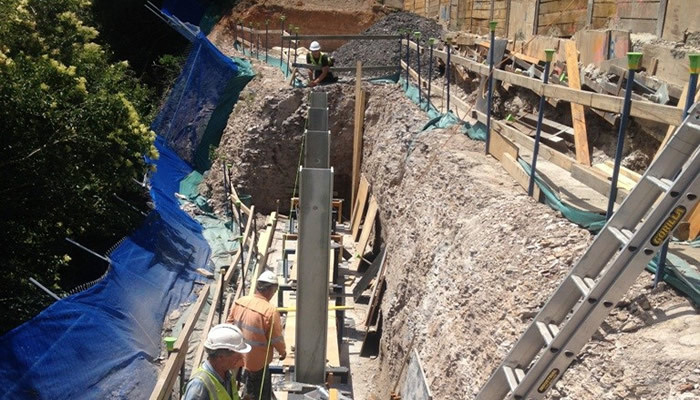 Perfect Engineering came up with an innovative concept, and later, once approved provided the design and calculations for the temporary access shoring platform (piers/sleepers/concrete-slab) adjacent the main road and the cliff face in which the entire works were to be conducted. 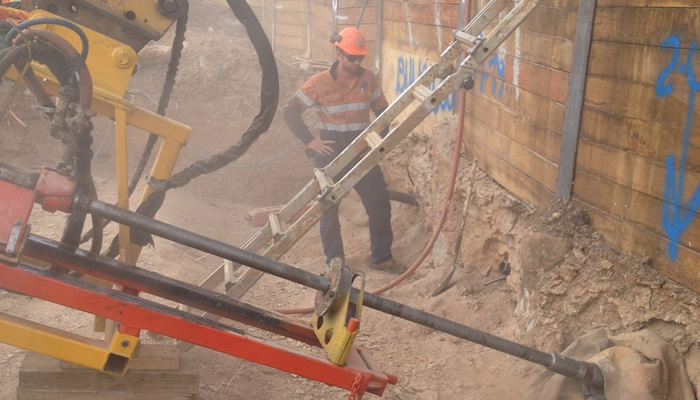 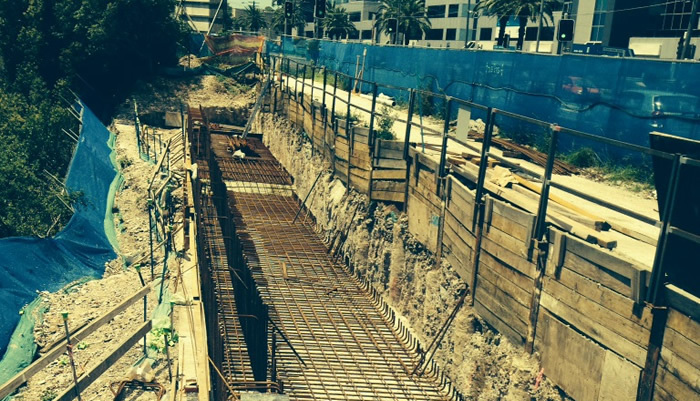 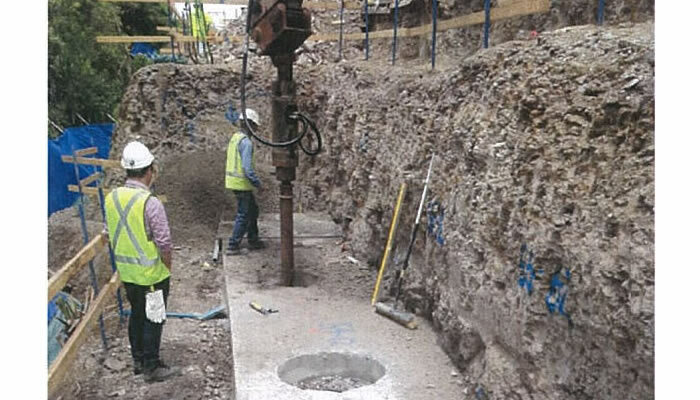 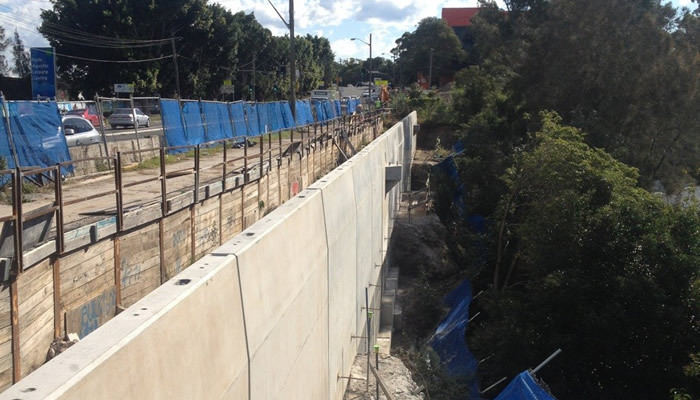 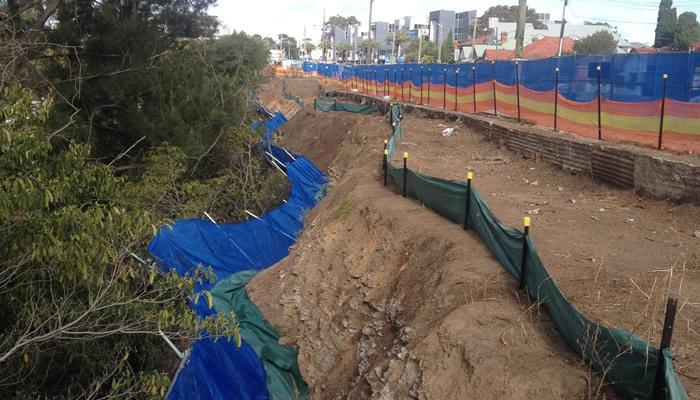 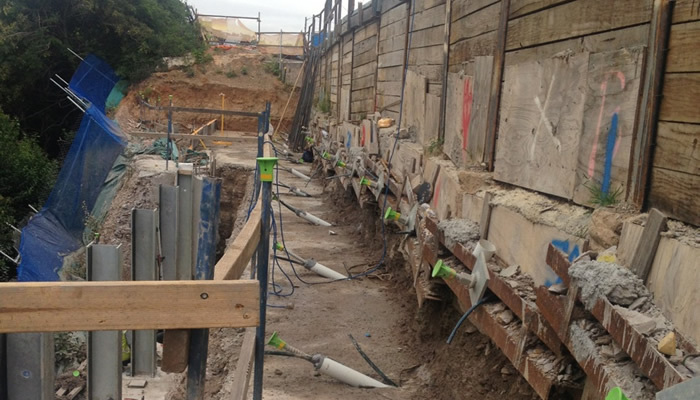 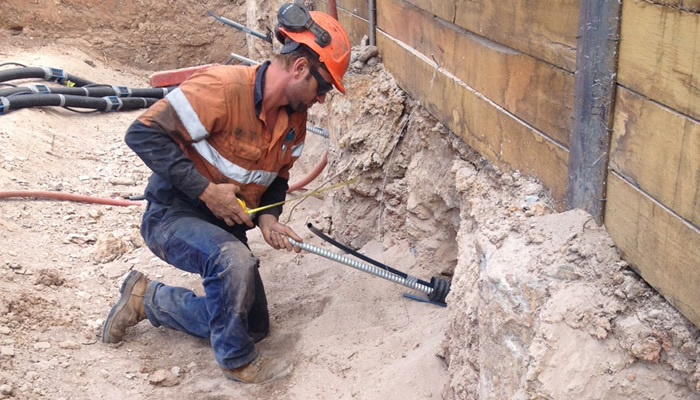 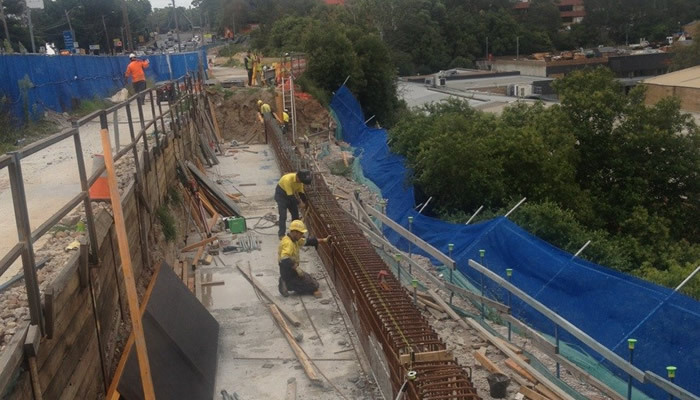 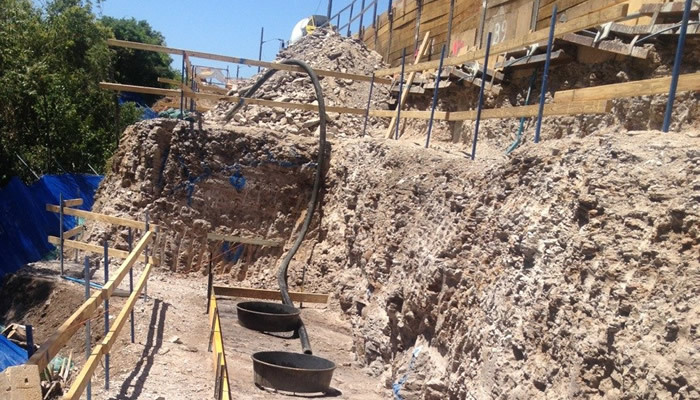 This temporary shoring was situated on a narrow corridor 3m wide adjacent Victoria Rd with a steep vertical slope of approximately 12m - 15m in depth on the other side of the corridor. 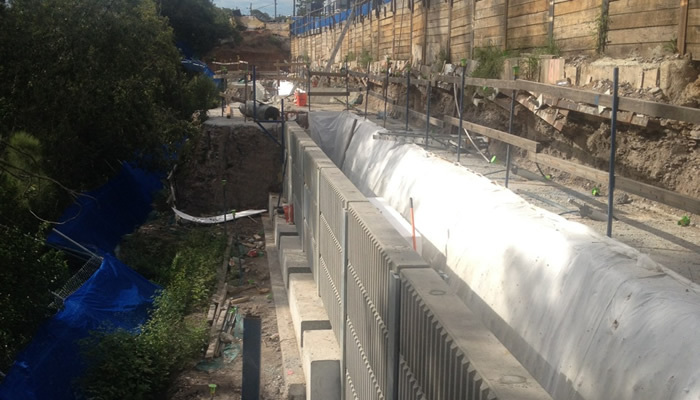 Factories were situated at the base of the cliff face approximately 3m away from the base. 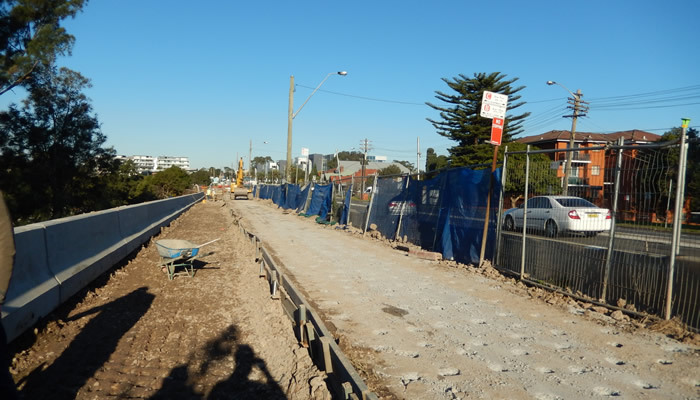 The length of the entire section along Victoria Rd was 150m. 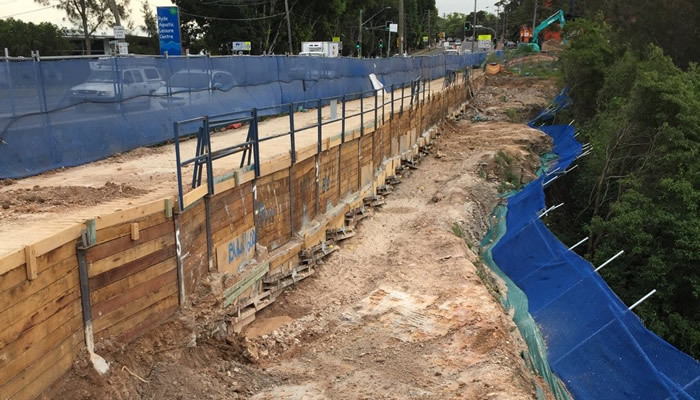 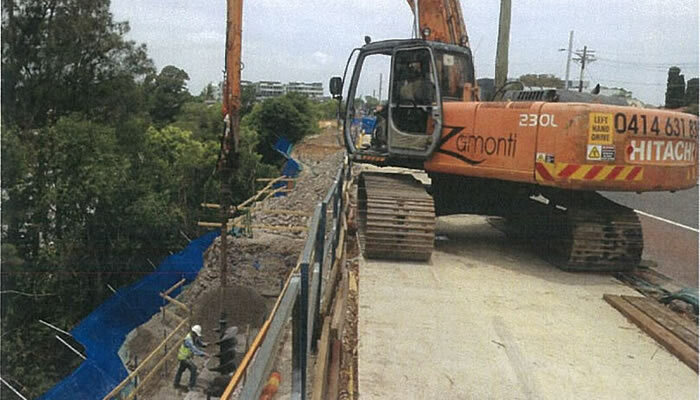 From this shoring platform, all of the subsequent works for the project including excavation, piering concreting etc was achieved successfully with no interruption to traffic on Victoria Rd. 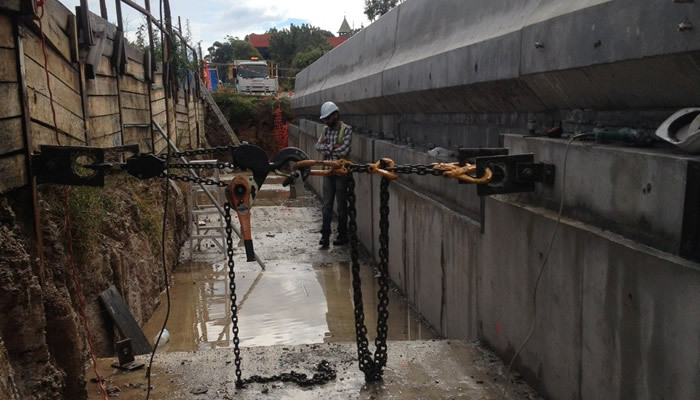 After construction of the temporary shoring, excavation had to be performed to the correct levels including the piering levels, followed by the insertion of steel cages and structural steel columns to support the overlying panels. 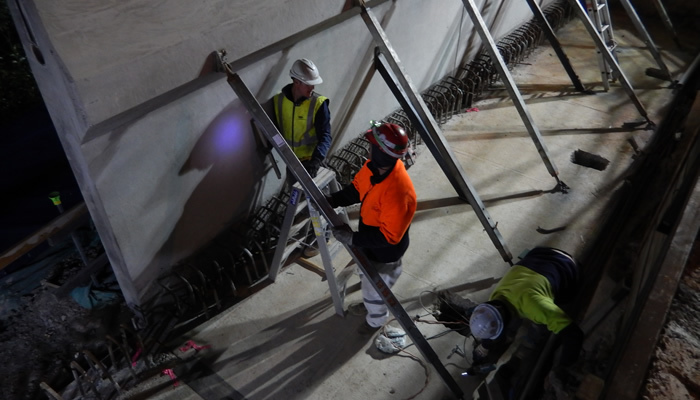 PE also provided an innovative gantry structure for workers to continue working on the base concrete slabs as well as serve a secondary purpose as a platform for the formwork for concrete pour for the base slabs. 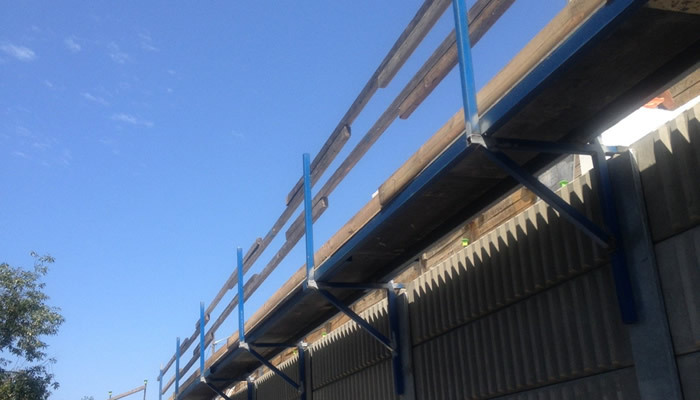 This was used in lieu of traditional scaffolding which would unsuitable considering the narrow working conditions. 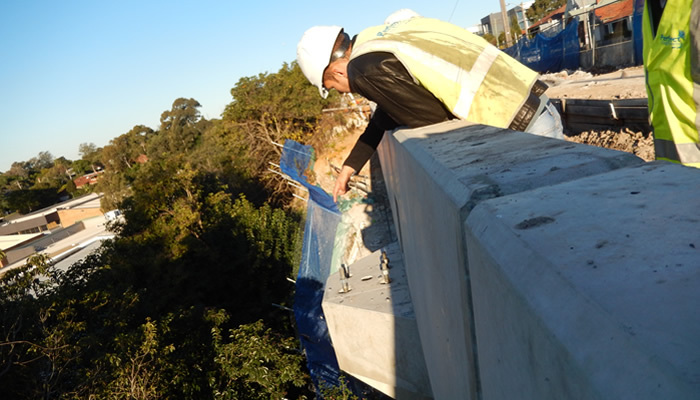 PE has complied with the bridge specifications and Australian Standards that were necessary for each of the stages with the projects, proposing and implementing the best solution to both RMS and GHD for their anchoring designs. 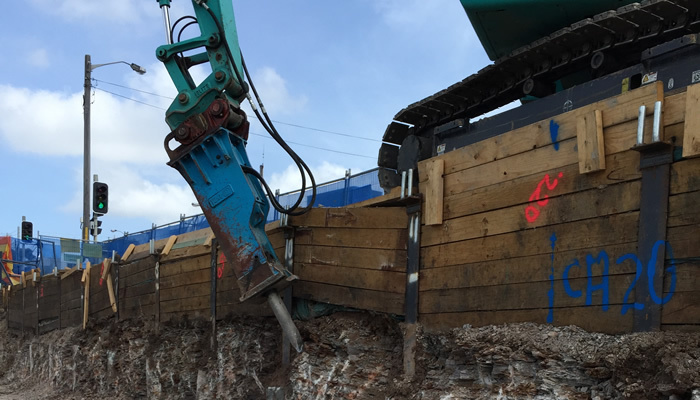 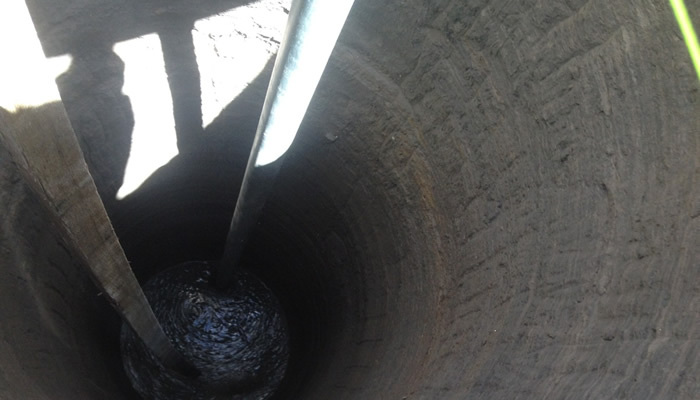 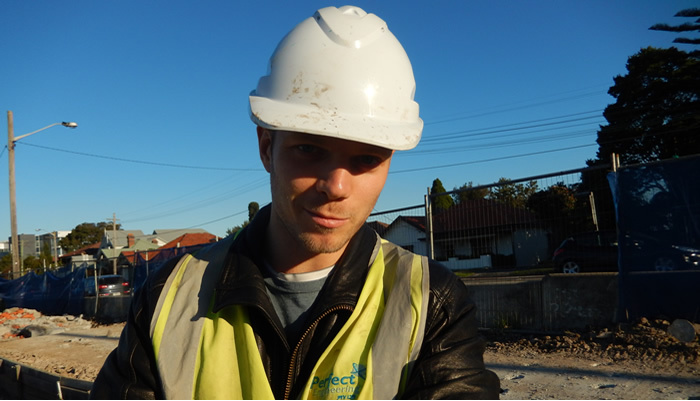 PE recommended alternative and additional type of anchor types/design which were suitable for the site in accordance with the geotechnical assessment undertaken by PE’s geotechnical subcontractor, Jeffery and Katauskas (JK Geotechnics). 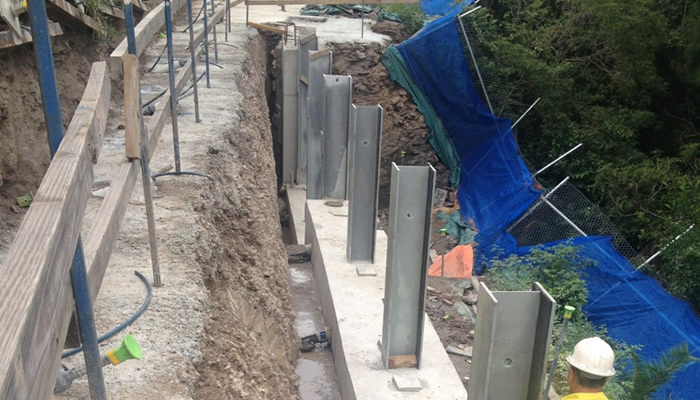 PE also was involved with redesign and construction of the originally designed concrete panels in the workshop in order that they were fit for purpose. 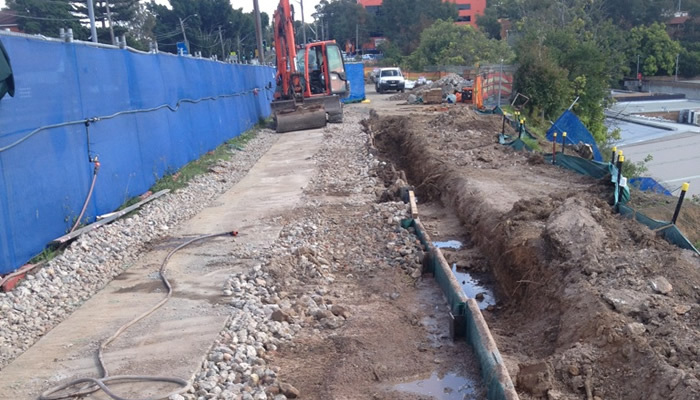 Overall the project has been a complete success and was delivered in a very short period for the scope of works and variations involved. 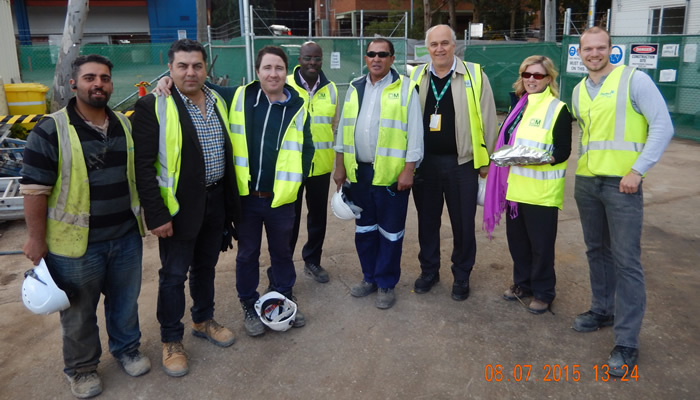 RMS has provided Perfect Engineering with an exceptional performance report for this project, giving Perfect Engineering high scores in terms of project management time, human resources, subcontractors, documentation, cooperation, site safety, quality, and so forth.